Telephone counseling is a useful addition to your regularly scheduled live-video sessions when needed. 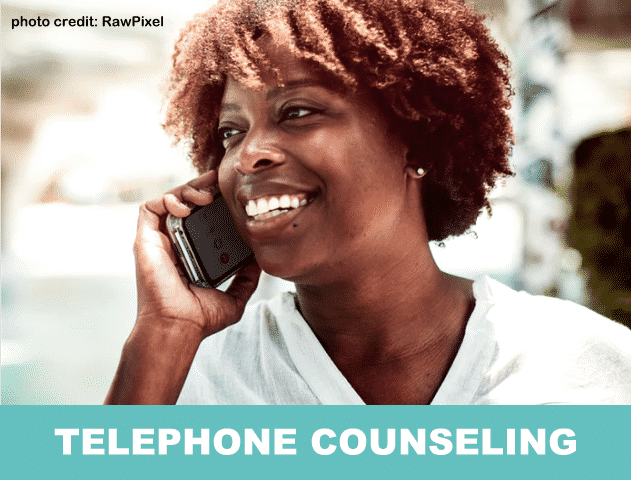 Counseling over the telephone is especially helpful if you’re in a space which network connection for a live-video session is poor, or not available. You might be visiting with relatives or on vacation, but don’t want to miss your weekly therapy time. Telephone sessions are a great mix within your plan of care, Live-video is always ideal, however, being able to hear each other is also a very telling tool to assess how you sound and how you’re thinking that day. Using our HIPAA complaint phone system, I am available for short telephone counseling sessions in between your regular live-video sessions. It’s a reassuring tool when you are ‘going through’ something in the middle of the week that you need to therapeutically process. As an established client, you’ll see the option to schedule a telephone session within the “APPOINTMENTS” area of your secure client portal. Telephone time is there to fill in the gaps when needed.